Acyl ghrelin, a novel brain-gut peptide, is an endogenous ligand for the growth hormone secretagogue receptor. Accumulated research data have shown that acyl ghrelin exercises a significant neuroprotective effect against cerebral ischemia/reperfusion (I/R) injury in animal models and in cultured neurons during the acute phase, usually, 1 day after cerebral ischemia. The chronic effects of acyl ghrelin 1 week after brain ischemia remain largely unknown. In this study, we explored the effects of acyl ghrelin on cultured organotypic brain slices and cortical neurons which were injured by oxygen–glucose deprivation/reperfusion(OGD/R) for 7 days. The underlying molecular mechanisms were deciphered based on label-free proteomic analysis. Acyl ghrelin treatment promoted neurite (axons and dendrites) growth and alleviated the neuronal damage in both cultured brain slices and neurons. 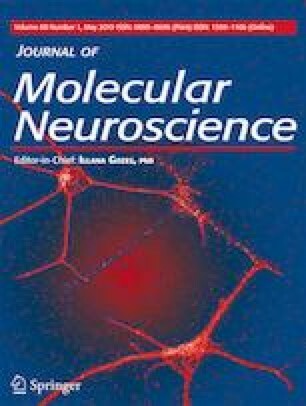 Proteomic analysis showed that cell division control protein 42 (Cdc42) mediates the effects of acyl ghrelin on neurite growth. Acyl ghrelin stimulated the expression of Cdc42 and neurite growth in cultured neurons comparing with OGD/R group. Inhibition of Cdc42 attenuated the effects of acyl ghrelin. These results suggest that acyl ghrelin promotes neurite growth during the later stage after OGD/R injury via Cdc42. Our study suggests that acyl ghrelin may be promising to restore the neuronal structure in the late phase after stroke. J.L. performed the experiment, analyzed the data, and wrote the manuscript. M.C. and R.D. participated in the experiment and manuscript writing. C.S. and S.L. contributed to the statistical analysis. S.Z. conceived the idea of the study and wrote the manuscript. This work was supported by grants from the National Natural Science Foundation of China [No. 81471254, No. 81171081] and the National Key Basic Research Program of China [No. 2014CB542200].